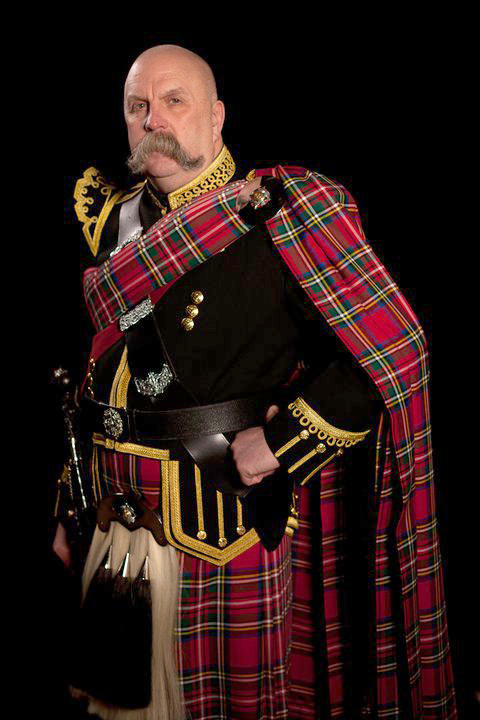 Pipe Major Iain Grant strives, at all times, to ensure his guests or clients experience the Highland Culture at its best … in its purest form. Kirsty Grant … Iain’s daughter, has been involved with Highland Dancing from a very early age. At age three years Kirsty made her first appearance as a Highland Dancer, with her Father, and, has over the years delighted audiences world wide with her skill in this very “Highland” dance form. – “Ghillie Calum”or the Sword Dance, as it is better known, dancing over a genuine Highland Broadsword … the Clansman’s dance of victory!!! Kirsty can in fact appear with as many Highland Dancers as you wish,the record being 24 dancers, all doing the swords at the Dynamic Earth, here in Edinburgh; which ended with a standing ovation, by an overwhelmed audience. Kirsty works in PR and Communications here in the fair City of Edinburgh. Kirsty studied at Edinburgh Napier University and did part of her course at Louisiana State University (U.S.A), taking her Highland dancing skills to that part of the world. Kirsty, in fact, did the Highland Fling at a American Civil War re-enactment, (sharing her father’s passion for this pastime). Kirsty is a very keen athlete, having recently completed the Edinburgh Marathon in a record time.